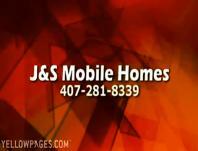 J & S Mobile Home Service, Inc.
J & S Mobile Home Service is the #1 mobile home mover in Central Florida. Established in 1981, we are also one of the oldest and best mobile home movers in the entire state. We transport and relocate mobile homes throughout Orlando, all surrounding communities in Central Florida, and all of Florida. J & S Mobile Home is licensed, bonded and insured. And over the past three decades, we have transported and relocated more than 7,000 mobile homes. We have an excellent reputation, and most of our customers are referred to us by longtime mobile home park managers throughout the region. J & S Mobile Home Service has visited and removed homes from over 1,000 mobile home parks in Central Florida. In addition, we have worked with FEMA and are a member of the Better Business Bureau. Selecting the right mobile home mover is the most important decision you will make once you commit to moving your mobile home. At J & S Mobile Home Service, we provide a total turn-key service on your home moving. We handle every detail for you including site preparation. Elsewhere on our website, you will find more detailed descriptions of our mobile home transport and other mobile home services. 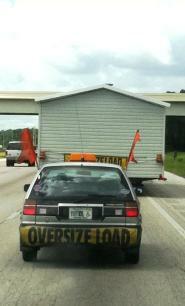 J & S Mobile Home Service is a family owned company who cares. Our attention to detail and personalized service is why so many people use us. We go the extra mile for our customers and do what it takes to make your transport experience easy and hassle-free. If you have a mobile home that needs to be transported and relocated to a new site, call us at 407-281-8339 or 407-468-7406 for a FREE estimate. Thank you for giving us the opportunity to serve you.